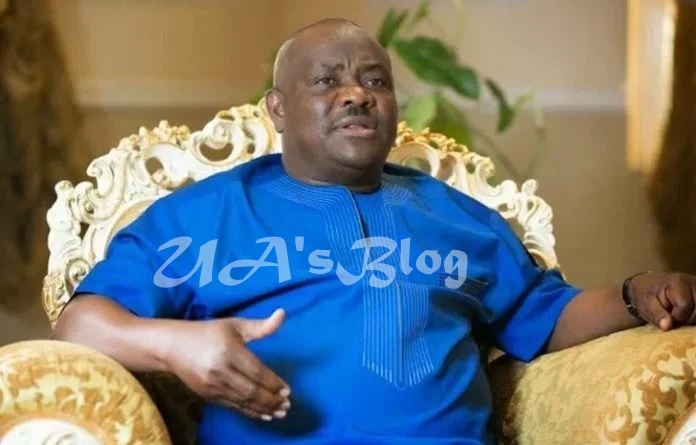 Rivers State Governor, Nyesom Wike, has said that there will be consequences if the Peoples Democratic Party, PDP succumbs to pressures from ‘planted PDP Presidential aspirants’ to move the party’s National Convention away from Port Harcourt. Governor Wike also declared that Rivers State will not support any desperate PDP presidential aspirant, who is sabotaging the economy of the state by fighting against the hosting of the party’s presidential primary in the state. The Governor was speaking during a consultative visit by the Gombe State Governor and PDP Presidential aspirant, Ibrahim Dankwambo at the Government House Port Harcourt on Wednesday. He said any presidential aspirant fighting Rivers State should forget about the support of the state, before, during and after the National Convention. Wike pointed out that there were persons, who are not presidential materials, but have bought forms simply because the presidency is zoned to the north. He wondered why a presidential aspirant would declare that he is uncomfortable with Port Harcourt as a venue, but would love Rivers oil. “Let me warn the party, if you dare, Rivers State will teach you a lesson. Those days have passed when they took Rivers State for granted. Nobody can use and dump Rivers State. “No presidential aspirant can use and dump Rivers State. We never lobbied for it, we never asked for it, but it will boost the economy of the state. People will make money. “Those who are against Rivers people from making money to improve their businesses will not get our support. “I don’t know why anyone who wants to be president will be afraid of a venue. Then you are not prepared for the election. “Nobody should dare Rivers State any more. Enough is enough. PDP should know that we are not a punching bag. We are not a people you can use and push. We are not harlots. Whenever you want, you come. When you finish, you push us aside. “We will retaliate at the appropriate time. When you go, tell your colleagues, the Presidential Aspirants. We were not interested, but having given it to us, you cannot insult us”, Governor Wike said.